The crystal plates are an elegant choice for recognizing employees, business executives and clients. 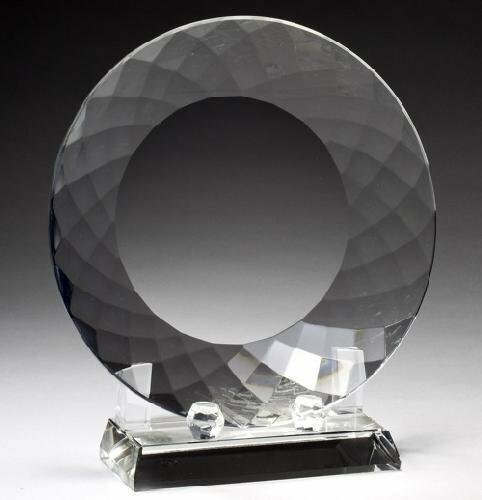 The crystal awards are frequently used in the food service and floral industries. They are laser engraved and sandblasted. The Crystal Plate has a multi-facetted border and crystal stand. This crystal plate makes an excellent personalized gift or special femine award. The optical crystal is laser engraved and sand blasted creating a uniquely beautiful award. 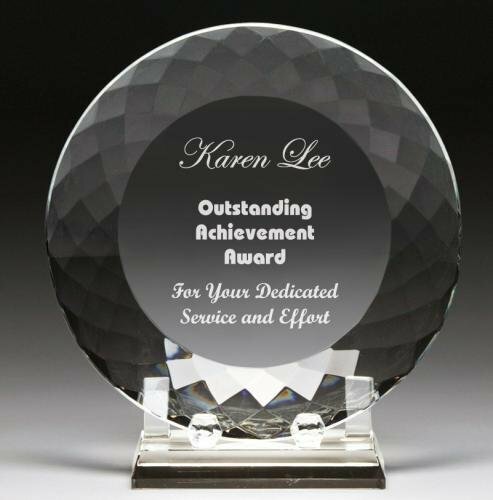 These Corporate Crystal Faceted Plates come with a matching crystal base and are ideal to recognize the ultimate in achievement. The faceting along the outside of the plate leaves plenty of room in the middle for your personalization needs. With a choice of 3 plate sizes, these crystal faceted plates will be a hit.